Overview 1A is a Virtual Reality Satellite operated by SpaceVR to enable users to experience space firsthand through the collection of 360° panoramic images of Earth and space that can be processed into immersive Virtual Reality imagery for users to experience on any mobile, desktop and VR device. 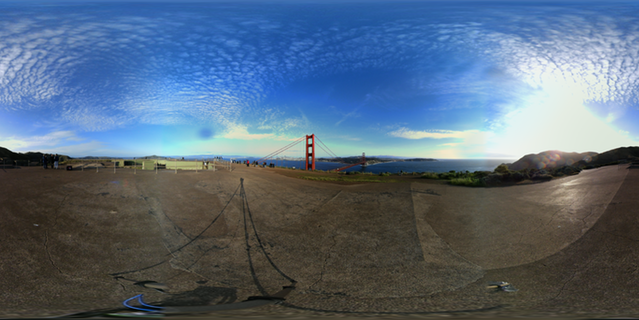 SpaceVR was founded by Ryan Holmes in January 2015 as the first space-based virtual reality platform with the goal of allowing users to ‘experience space firsthand.’ The company plans to provide consumer content directly to users for $2.99 per month with enterprise options available to schools, museums and companies and licensing for research, news and games. 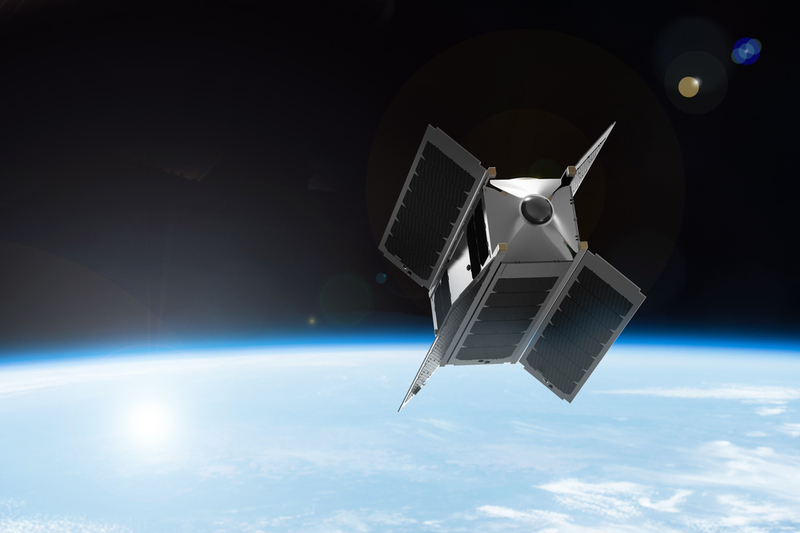 SpaceVR started out with a crowd-funding campaign to deploy a VR camera to the International Space Station before shifting toward a stand-alone satellite, moving from a $500,000 crow-funding goal to only $100,000. 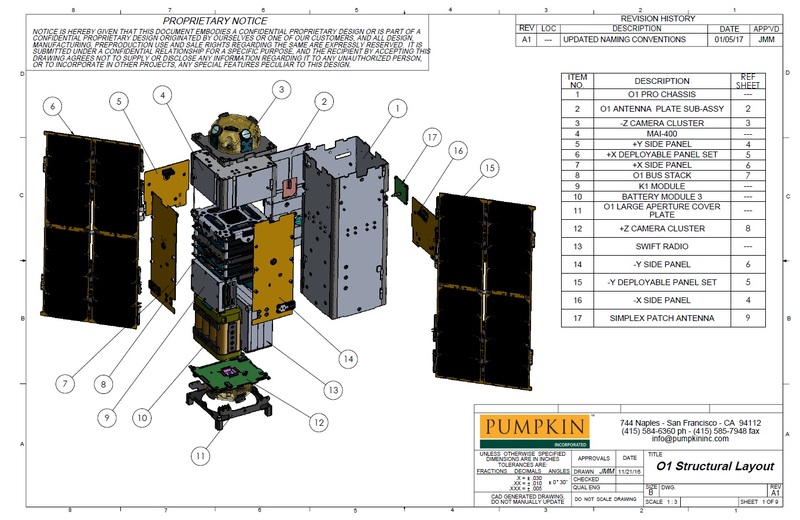 In April 2016, the company announced it had secured $1.25 million in funding, covering the construction and launch of the Overview One satellites. SpaceVR plans to launch a pair of Overview One satellites, using the 3U CubeSat form factor and based on a commercial satellite platform supplied by Pumpkin Inc. and fitted with two camera assemblies each with four wide-angle cameras to collect full 360 views of Earth. Each Overview One satellite weighs 4.2 Kilograms and hosts precise pointing systems to properly orient the imaging system to Earth, capturing imagery with a ground resolution around 215 meters from the operational orbit 409 Kilometers in altitude. 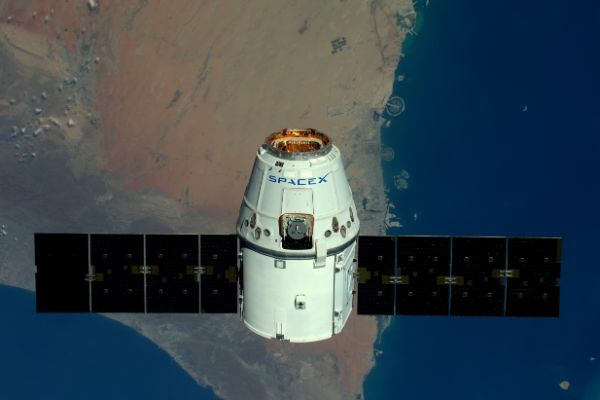 The Overview One satellites use body-mounted solar panels and four deployable panels to deliver 15.3 Watts of electrical power, stored in a 120 Watt-hour battery unit. 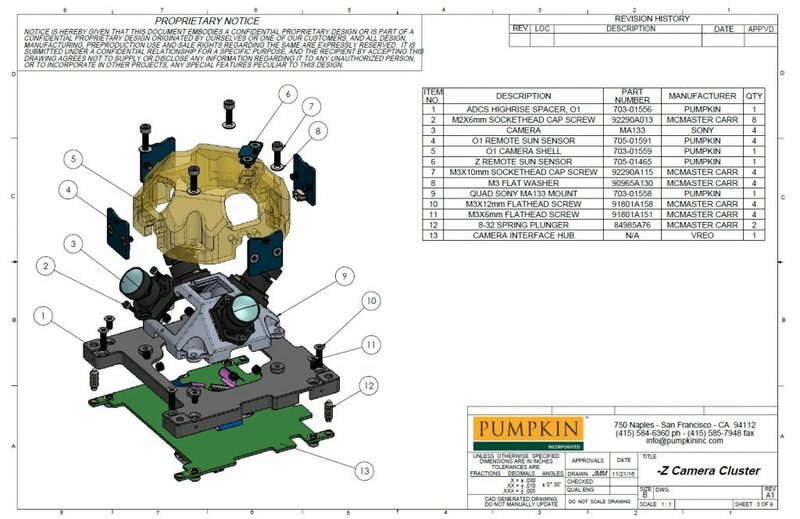 Attitude Determination and Control is provided by a customized version of the MAI-400 CubeSat ADACS provided by Maryland Aerospace – a 0.5-Unit stand-alone device that comprises three reaction wheels as main actuators, three electromagnets to provide de-tumble & reaction wheel desaturation capability and a three-axis magnetometer, Earth horizon sensors, MEMS Gyro and an additional Star Tracker acting as attitude sensors. Overall, the system delivers a pointing knowledge of 0.007 degrees and allows for precise pointing for imaging operations. Communications are a critical driver for the Overview One mission design given the large volume of data collected by the 360° camera system. 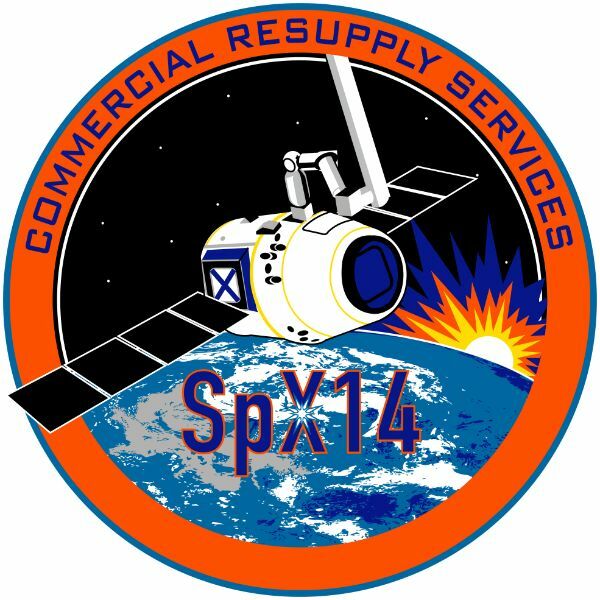 Command uplink and housekeeping telemetry downlink is handled via an S-Band chain while imagery data downlink is completed through a high-speed medium-gain X-Band antenna. SpaceVR employs up to five ground stations, downlinking image data at up to 100 Mbit/s and allowing around 4.66 GB of data to be downlinked each day. The Overview One Satellite hosts a VR payload comprising eight compact Sony FCB-MA133 HD cameras capable of collecting 1080p HD video and 13-megapixel still images (104 Megapixel total). 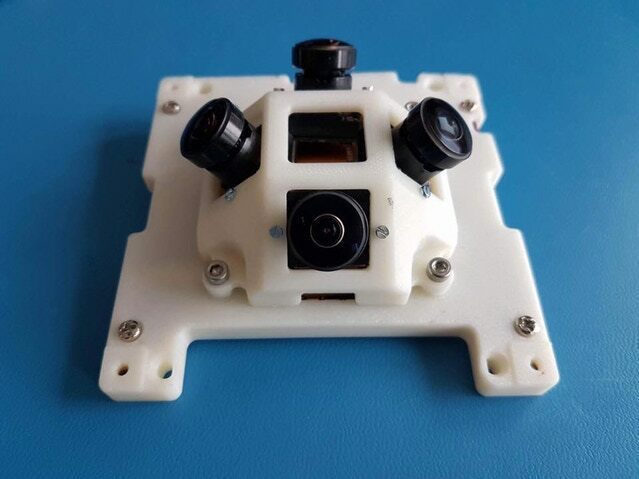 MA133 is 28.0 by 25.6 by 18.9 millimeters in size and weighs only 8.7 grams, capturing video over a 115 x 62-degree field of view and still imagery across a 128 x 91-degree FOV using a 4192 by 3104-pixel CMOS detector. The camera employs an F2.8/2.8mm lens and delivers 16-bit (Y/Cb/Cr 4:2:2) video output.